Grihav Pravesh (GP) is a social entrepreneurial undertaking by Saath Livelihoods for making the process of buying affordable houses from the formal market easier for the underprivileged. The low income strata of a society is always in a conundrum when it comes to buying real estate. The reasons for this range from the uphill task of legal documentation, availability of reliable credit facilities and legal advice pertaining to title clearance of the property. The entire process appears as a cumbersome ritual to the bottom of the pyramid and hence it keeps itself deprived of respectable housing in spite of having the economic capability to afford one. To add to the woes of this community, rampant frauds in real estate prevent them from investing them money out of the fear of losing it. The low income groups are given one-stop services, ranging from counselling them to avail loans to facilitating integration of community development initiatives with housing. After the initial success of this programme, Saath has expanded its horizon and has added several similar services pertaining to purchase of real estate to enable the marginalized to avail as many services as possible at a single destination. 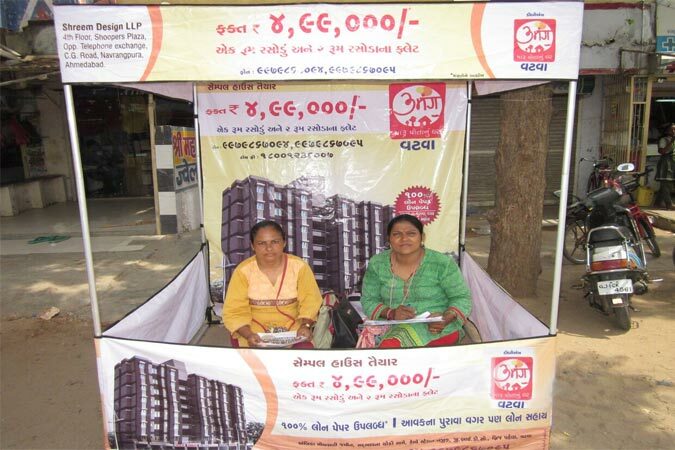 Saath has reached out to over 65,000 people with 1,500 low income group people becoming members and 900 out of them buying their homes through Saath. 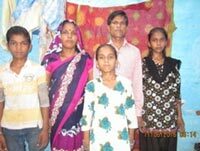 Chandaben is 30, living at Bapunagar in Ahmedabad for last 15 years. She lives in a rented house for which she pays Rs. 1500 every month including the electricity bill. Her family includes her husband, three children and she. Her husband does the stitching work and earns Rs. 12,000 every month. Chandabenmakes incense sticks and earns Rs. 6000. Children also join her for work after school. Her total family income reaches upto Rs. 18,000 per month. Chandaben learnt about the new housing scheme that was launched in Narol&Vastral, through Madhubhen, an acquaintance working with GP. She visited both the sites but the prices were a little higher for her. She registered with GP and requested Madhuben to inform her if a cheaper scheme was launched. After a year, Chandaben visited a newly launched scheme with her husband and found it fit in her budget. She decided to book 1RK flat, but needed some time to arrange finance for the down payment. With the help of GP, she got her booking on hold for three months. She paid the down payment when it was arranged. Also, she availed the loan of Rs. 3.5 Lac at 12% interest rate from Micro Housing Finance Company. The total cost of the flat is Rs. 5,75,000 and monthly instalment comes to Rs. 4,200. 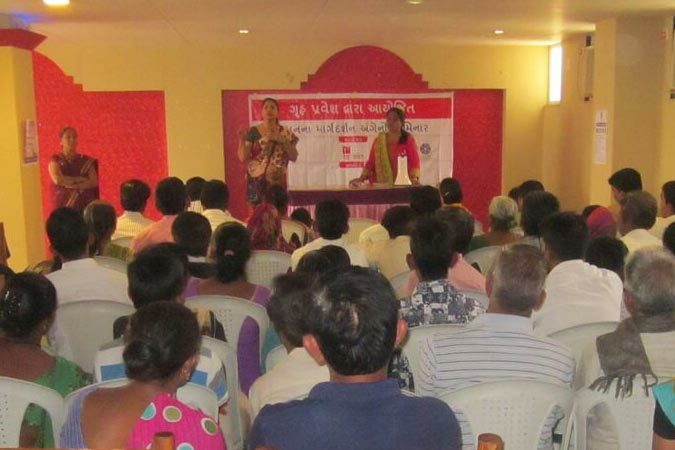 “GP has also given me an opportunity to find new livelihood options at the nearest GIDC. Finally after 15 years in Ahmedabad, I have my own house” says Chandaben proudly. Griha Pravesh now plans of expansion even further into different geographical areas.